Spotlight Mailer is web-based email marketing software that includes everything you need to design, send, track, and achieve a solid return on investment from email marketing. Each Spotlight Mailer license is associated with one LuxSci user. Once you have Spotlight Mailer, you can access Spotlight Mailer from your LuxSci account and start creating your contacts, mailing lists, and emails. Spotlight Mailer's intuitive interface and predesigned templates make it easy for individuals with limited technical expertise to create and send emails. The cost of a license depends on whether your LuxSci High Volume Account has a dedicated server. If you don't have a dedicated server, the cost is $25 per month. If you have a dedicated server, the cost is $50 per month. How Do I Design My Email Marketing Campaigns? Spotlight Mailer contains over 100 professionally designed templates, both generic and industry specific, that you can tailor to create a campaign-specific email. You can create content using the WYSIWYG editor or upload information from your computer or the internet. The templates included with Spotlight Mailer have been tested to ensure compatibility with all popular email clients. Alternately, you can create your own custom templates or import existing campaigns and templates. Spotlight Mailer's image hosting ability lets you upload any number of images. Can I Preview My Emails Before They are Sent? Spotlight Mailer lets you preview your email messages to make sure that you like what you see. You can check to see what your email will look like in popular email programs and adjust the design as needed before it is sent. The SPAM checker function evaluates your message for SPAM-like content so that you can edit the text and maximize deliverability. Spotlight Mailer allows you to send to many lists at once and will eliminate duplicate recipients. Split testing lets you try different versions of your message to see which is more effective. Scheduling options enable you to send your email blast now or schedule it for the future. Spotlight Mailer automatically handles unsubscribes, opt-ins, and bounces. Spotlight Mailer's reports answer your important questions. Who opened which emails and when? Who clicked on what link and when? How many bounces and why did they occur? Who unsubscribed and who forwarded the email to friends? You can also take advantage of Google Analytics for more in-depth analysis. Use any of the many industry-specific email templates included. The included templates have been tested to work with all popular email clients (including Gmail, Yahoo, Hotmail, and Outlook). Design and store as many custom email templates as you like. A built-in WYSIWYG editor email template editor allows you to easily format text, upload images, and more. Edit the raw HTML as well if needed! Upload or import existing email campaigns and templates from your computer or web site. Upload any number of images with free image hosting. Preview How Messages Will Look in the Recipient's INBOX. Preview how your message will look in all popular email programs (e.g. Hotmail, Gmail, Outlook, etc.). Easily fix things to be sure that the message looks good to all. Add unsubscribe links with one click; All unsubscribes are handled automatically. Have bounced emails automatically removed from your mailing lists; get lists of what addresses are failing and why. Include attachments with your bulk mail and optionally have images embedded so messages look good offline. A spam checker allows you to preview your message to see how spam-like it is before sending. Find out what should be changed to ensure deliverability. Help your messages go viral by adding a Forward to a Friend link to your messages. The mailing list manager ensures that your mailing lists never have duplicate addresses. Send your email blast now or schedule it for some time in the future. Send your email campaign to any set of mailing lists and have all duplicate addresses auto-removed. Your messages can be HTML-only, text-only or multipart with both text and HTML versions for maximum friendliness to your readers' email program settings. Who opened which emails and when? View bar charts and detail reports. Who clicked on what links and when? Even if the recipient never contacts you directly, you can follow up with their perceived interests. Integrate to get the full reporting capability of Google Analytics, including conversion tracking. Get reports of all soft and hard bounces, including why each bounce occurred. See who has unsubscribed and when. Compare unsubscribe rates to open and bounce rates. See how effective your viral campaign is via reports of who has forwarded the message to their friends, and when. Opt ins, unsubscribes, and bounces can all be handled automatically. Add or import contacts from Outlook, Excel, or CSV file. There is no limit to your contact list sizes. Manage as many contact lists as you require. Group contacts in any way that you like. Design custom subscription forms that can be easily added to your web site. Add unlimited custom contact information fields to your contact lists. These enable arbitrary personalization of your mailings. Require all new subscribers to click on a link in an email to verify that they really want to subscribe. 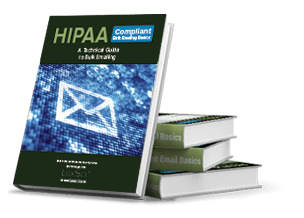 This keeps your mailing lists clean and follows best practices. Your subscribers can modify their subscription details at any time -- including their name, email address, preferences, etc. Prune your contact lists quickly and easily. Comply with CAN-spam laws by providing unsubscribe links that remove the user with a single click. Filter your contacts based on common attributes (e.g. location or age or your custom fields) and send emails directed to these specific segments. Create suppression/Do Not Mail lists to suppress messages to contacts that should never receive email messages from you. Try different versions of your messages and find out which performs best in terms of open rates. Run a test on a small part of your mailing list and send the rest to the winner. Manage your mailing lists via our API.